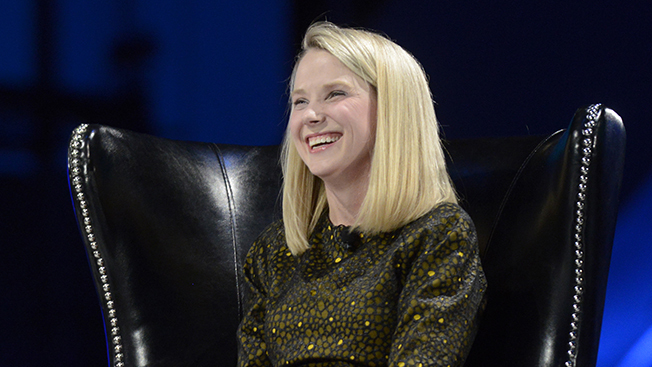 A hoarse-voiced Marissa Mayer of Yahoo—appearing today at the 4A's Transformation Conference in Beverly Hills, Calif.—became most animated when asked about her company's $1.1 billion acquisition of Tumblr. Interviewer Rob Norman of GroupM broached the topic skeptically, noting that Tumblr founder David Karp has described the site as a "beautiful creative palette that is unpolluted by ads." So, Norman asked, how exactly will you get your $1 billion back? Without missing a beat, Mayer noted that the site is a huge reservoir of content, with some 176 million individual blogs. She further described Tumblr as "such an amazing canvas for storytelling" and a great platform for publishing content, such as Yahoo Food. Still, how do you make money out of that? The challenge, Mayer admitted, is to create ads that are as "compelling and as beautiful as the art projects and poetry and other things that you see posted there." The CEO went on to say that ads on Tumblr today—specifically radar ads and sponsored posts on the dashboard—significantly outperform content, as least when it comes to sharing. "The average post on Tumblr gets reblogged about 14 times. The average sponsored post on Tumblr gets reblogged 10,000 times," Mayer said. "So, there's really an amazing amount of reach." Now, whether that translates into marketers diving in en mass is an open question, as is whether such a flood of advertisers would in turn taint Tumblr's appeal.